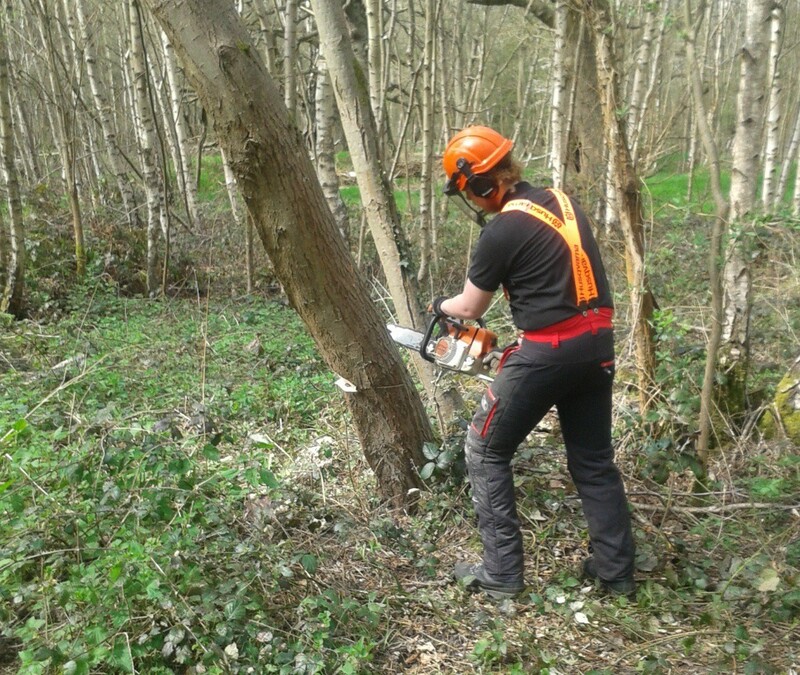 We’ve been out chainsawing at Southwood Woodland to fell the hazardous trees that were identified in our tree survey last month. 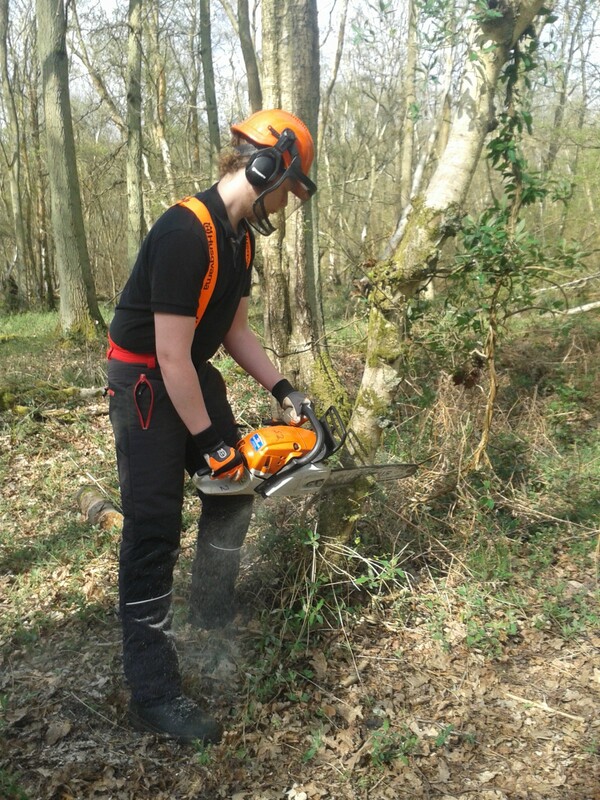 Sarah and I were joined by Tobias, a Merrist Wood student now armed with his chainsaw qualification and protective gear. It was to useful to make the paths safe and practise the different chainsaw techniques, including Tobias using a dog-tooth cut to bore into the trunk of a heavily leaning willow tree. Student Tobias using dog-tooth cut on heavily leaning tree. This entry was posted in Sites, Southwood Woodland, Volunteers and tagged chainsaw, Student, students, Volunteers. Bookmark the permalink.